We are going to provide the Androrat APK Latest Version so that you can download safest version here only. Androrat is a client/server application created in Java Android for the customer side as well as in Java/Swing for the Server.The name It is a mix of Android as well as RAT (Remote Access Tool). The goal of the application is to offer the control of the android system remotely and recover info from it. The Androrat is Always Lurking. You have to make a id on Here and develop a host. You have to open port you wish to use. To do that Open Control panel > Network & Internet > Network & Sharing center Then click see complete map alternative Right-Click on the Gateway or router > Properties In basic tab, Go to setups, Click on include Description of service, Write App Now you need to check your ip, To Do this, open command punctual, type ipconfig, Scroll To ethernet Adapter area connection, and note down the ipv4 address Now come back to Add home window, in the name or ip address kind the ipv4 address you have actually noted Now in the inner & exterior port number, kind 81, tcp must be picked, click okay Now click on Add button once more … Now in Description, create Androrat 1 In the name or ip address, kind the ipv4 address you have noted Now in the outside & interior port number, type 81, udp needs to be selected, click ok.
Now extract the data, Open Androrat Binder.exe. Go to No-ip tab as well as load your information & click on update. In IP section, type the hostname you have actually developed by no-ip. In port section, kind 81. In apk title, Type any type of title you want. Inspect the concealed box to conceal the apk from mobile’s app drawer. Now you will certainly see the apk with the title you have actually given in the extracted folder. Currently install that apk to any kind of android mobile phone. You will find a folder called Androrat in the removed documents. Open Androrat > Androrat.jar (you need to have java installed in your computer to open it). Currently click on server > Select port and also enter 81, click ok & restart it. Now, as soon as the android customer is on the internet, you will discover it on the jar documents… pick any type of server online. Get get in touches with (as well as all theirs info). Keeping track of received messages in online. Keeping track of phone state in real-time (call obtained, phone call sent out, call missed.). Take a photo from the camera. Stream sound from microphone (or other resources.). Streaming video clip (for activity based customer only). Open an URL in the default browser. As the tale goes (inning accordance with its GitHub page), the initial App was produced as a proof of concept by a tiny group of designers for a University task in 2012. It has 2 components: the app web server which operates on a PC to regulate contaminated mobile devices, as well as the Androrat client which is installed into a mobile phone. 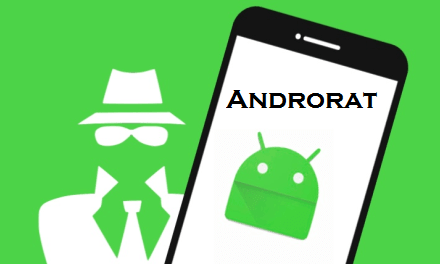 With a little Android advancement knowledge, the Androrat evidence of concept could be used as a Trojan by taking an existing genuine APK, decompiling it, including the Androrat client code right into the APK, and also recompiling the APK. After installing the contaminated APK onto a mobile device, it could be managed using the AndrodRAT server which is a simple GUI interface. Soon after the initial Androrat was posted to GitHub, the malware authors took it a step even more as well as produced Androrat Binder; an APK building contractor that includes the Androrat client code to any APK. App Binder made building contaminated APKs so easy, that any manuscript kid might use it. Simply include the IP and also port used to link the AndroidRAT server to the client, offer a reputable APK (most likely from Google PLAY) to repackage with Androrat, as well as construct. When developed, the contaminated APK could be placed onto 3rd party markets and/or data sharing sites for innocent targets to install. Considering we have found around 31k infected APKs that utilized the default setups of the Androrat Binder in our Mobile Intelligence System, it appears it caught on like wild fire. The Androrat variants we see in the wild today are far from the initial open resource code submitted to GitHub back in 2012. Updated coding has boosted the capability, made it more secure, and included obfuscation to deter versus discovery by malware scanners. With the recent rise of Androrat in the wild, I forecast the distribution method has substantially improved too. The old App Binder made developing a contaminated APK easier, yet still just developed APKs one by one. Probably new contractors have actually been established that can automating the procedure even better; such as bulk building this contaminated APKs using genuine applications. Androrat client infected APKs run similar to the apps they steal, but with added malicious performance behind-the-scenes. Most likely there is an this app infected variation of it someplace in the wild if an app is popular on Google PLAY. Right here’s some code of a contaminated Pokémon GO app:. As usual, it’s a pet cat and “RAT” game between malware programmers and malware scientists. They keep putting brand-new variants of this out in the wild, we keep spotting them as they emerge. The most effective means to catch this RAT is to have a good malware scanner installed on your mobile device, and also to install applications from credible stores such as Google PLAY. Stay risk-free available! 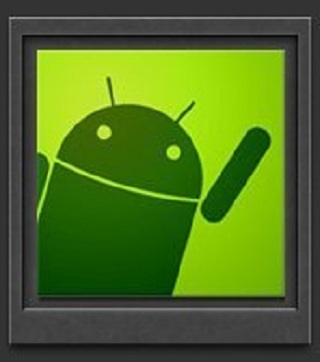 Find many such updated APK files on APKofTheDay.